The most popular cycle path in North Devon is the Tarka Trail, named after the famous story of Tarka the Otter by Henry Williamson. Stretching along 180 miles through North and Mid Devon, the Tarka trail takes you through the Estuaries of the two Rivers of Tarka - the River Taw and the River Torridge. This carefully maintained path is open to walkers and cyclists, but is particularly popular with cyclists as the path is an old railway, so totally flat and very easily cycled by young and old alike. Our suggested route for families and novices is from Braunton to Barnstaple. This part of the Tarka Trail is an ideal introduction to cycling for families and beginners. Here the Tarka Trail is a gentle off-road route along the beautiful banks of the estuary. It's traffic free and well maintained, just take care when approaching pedestrians and other cyclists. Also look out for the National Cycle Network, Devon Coast Route 27. This is a wonderfully scenic circular route along the North Devon coast with a link that allows a start and finish in Ilfracombe. 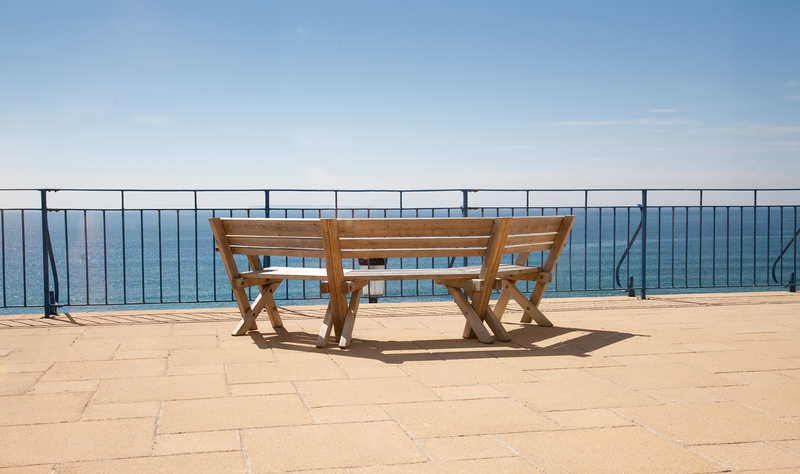 It takes in two superb traffic free sections, the National Trust coast route beside the sea at Woolacombe Sands and the former railway path from Ilfracombe to Willingcott Cross. The more adventurous could cycle on down all the way to Plymouth! The route is along attractive minor roads through quiet villages and rolling Devon farmland (see map). Trips around the North Devon coast are available to watch dolphins, seals and basking sharks - if you're brave enough, you can even swim with these summer visitors for the experience of a lifetime. You can learn how to surf, kite surf, scuba dive or sea kayak. If you don't want to get wet, how about gliding or mountain biking? • Osprey Charters: deep sea and mackerel fishing trips, and general charter to the Bristol Channel and Lundy Island. Fully licensed vessel by MCA and RYA. Fully insured professional local skipper. All rods and bait supplied. Toilet on board. Big modern vessel operating from Ilfracombe Harbour. • H2Outdoor.co.uk provides an exciting range of outdoor activities and can cater for both individuals and groups with one-off tasters, full weekend or weeklong packages. Choose from a selection of unforgettable adventurous experiences with kayaking, coasteering, mountain biking, surfing and climbing. • Ilfracombe Princess: Magnificent scenery with sightings of seals, dolphins and sea birds. A 100 seater passenger catamaran with complementary toilets and shelter. • Nick Thorn surf coaching is focused on quality, safety and fun! 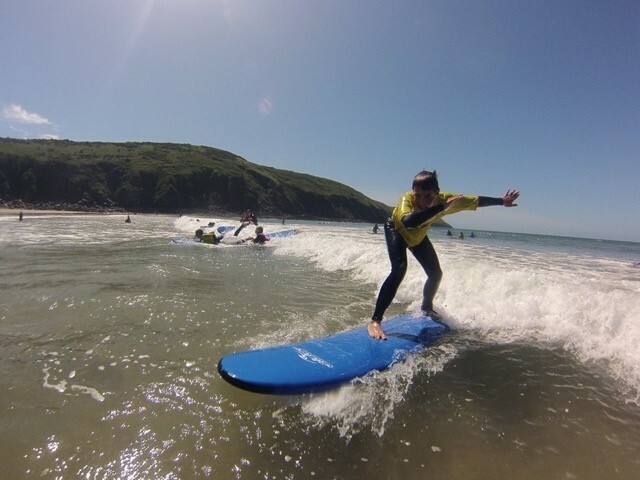 They currently offer surfing lesson for all abilities from complete beginners to the more advanced surfer. Our lessons range from 1 to 1 sessions, groups and families. They also provide coasteering sessions that is an extreme adventure activity that includes short sections of traversing around sea cliffs, and lots of jumps from the cliff into the sea and also SUPing tours.Nick Thorn surf offers all guests at Devon Beach Court an exlusive 15% discount on all surfing/ SUP and Coasteering experiences. Please quote your booking reference. • Woolacombe riding stables are a British Horse Society approved stable yard and offer a choice of rides for novice to experienced riders with spectacular scenery. Specialising in beach rides for experienced riders. Instruction in flat work and jumping. Hats and boots are provided, all rides escorted and it is open all year. There are five 18-hole golf courses within the local area. The most famous is the Royal North Devon in Westward Ho!, which is reputed to be the oldest links course in England. Other notable courses include the championship course at Saunton, Portmore in Barnstaple, Ilfracombe, High Bullen near South Molton and Willingcott on the outskirts of Woolacombe. There is also a nine-hole course at Woolacombe and Mortehoe. Within the apartment, information can be found about several of the local attractions, many of which are ideal for the occasional wet day. The likes of the Big Sheep, the Milky Way and Funder Zone are great for all ages, whilst for the older child, there is the Mill Adventure Centre, Lets Go Superbowl and numerous quad biking and paint ball facilities, which all seem the better for a drop of rain!